Butlin CR, Withington S. 4 March 2018, posting date. Mothers and children with leprosy. In Scollard DM, Gillis TP (ed), International textbook of leprosy. www.internationaltextbookofleprosy.org. Leprosy frequently affects women of childbearing age. Many will undergo pregnancy and lactation before, during, or after Multi-Drug Therapy (MDT) while still at risk of reactions, or when coping with nerve function impairment (NFI) or eye problems due to leprosy. These vulnerable women require coordinated care from obstetricians/midwives and from leprosy-trained health workers (Figure 1). Considering its frequency, there is surprisingly little published evidence regarding either the natural history of leprosy during pregnancy and lactation or its impact on fetal outcomes. Even less is known about the psychosocial aspects of childbearing in leprosy-affected women. A systematic review  concluded that research was needed to answer questions about the risk of reaction/NFI as well as about pregnancy outcomes, including (i) observational cohort studies of women of childbearing age (both during and after MDT), comparing those who become pregnant with those who do not, and (ii) randomized controlled trials to clarify the effects of drugs used in leprosy on pregnancy and lactation. Nearly two decades later very little more is known on these subjects. While infertility is an observed (though often overlooked) complication among men with a history of borderline lepromatous (BL) leprosy or lepromatous leprosy (LL), infertility due to leprosy does not appear to be a problem in women , . In low-resource situations, uninvestigated childlessness in leprosy-affected couples may be due to the male hypogonadism (see Chapter 2.1) caused by leprosy, but women commonly feel shamed by relatives for their ”failure to conceive”. Contraception should be openly addressed at leprosy clinics, since the efficacy of contraceptive drugs may be diminished due to rifampin-associated induction of liver enzymes, though this diminishment is unlikely to be significant if rifampin is used only once monthly. In addition, deferral of pregnancy may be advisable in some circumstances, though termination of pregnancy due to leprosy is not justifiable on medical grounds (Box 1). The congenital transmission of leprosy has never been established, though there are a few reports of M. leprae being detected in placental tissue , . Most reported cases of leprosy in very young infants are explicable by exogenous airborne infection of the newborn from the mother or another untreated leprosy case, and the short incubation period does not prove antenatal infection , . While a Caesarian section is occasionally performed for mothers because of their leprosy , the authors do not believe that this surgery is justified in view of the negligible risk of intrapartum infection. No teratogenic effects are expected from standard MDT (see Chapter 2.6) with rifampin, clofazimine, and dapsone , , , and any potential small risks of MDT are outweighed by the benefits of treatment (Box 2). Women who need MDT should be specifically advised at each clinic visit to continue treatment during pregnancy ,  and to avoid treatment discontinuation due to maternal anxiety regarding fetal health or inappropriate advice from other health professionals. Patients are recommended to take 5 mg of folic acid daily with dapsone throughout pregnancy because of the potential for a small decrease in folate absorption. Although rare, dapsone has been associated with neonatal hemolysis and methemoglobinaemia ,  and rifampin with neonatal bleeding, both related to their use in the third trimester. Testing for G6PD deficiency (if available) is recommended to identify and avoid severe hemolysis due to dapsone. Accompanied MDT (AMDT; see Chapter 2.6)  can be a useful approach if it is difficult for the woman to reach the clinic in the later stages of pregnancy or during the postpartum period, though ongoing close observation is preferred in view of the potential complications of pregnancy. Dapsone Generally safe in pregnancy and lactation, subject to normal considerations of risk of adverse reactions. Some association with neonatal hemolysis and methemoglobinaemia when given in 3rd trimester. Supplementary folic acid is recommended because of theoretical risk of lower folate absorption. Clofazimine Safe in pregnancy and lactation. May lead to reversible discoloration of the breast-fed child. Minocycline Teratogenic in pregnancy and can cause infant teeth discoloration and damage through passage in breast milk. Prednisolone Risk benefit analysis favors use in moderate to severe reactions. Monitor for adverse effects, especially hypertension and hyperglycemia. Small increase in incidence of cleft palate in first trimester, and theoretical risk of hormonal disturbance in the fetus. Safe in lactation, but deferring feeding until four hours after ingestion of drug will reduce infant’s exposure to peak concentration of drug secreted in breast milk. Thalidomide Contraindicated in women of childbearing age due to teratogenicity. Bacillus Calmette-Guerin Contraindicated in pregnancy and lactation. Antibiotics for ulcer-related infections: Weigh up risks and benefits considering safety of specific drug in pregnancy and lactation, known microbiology, and local resistance patterns. Women taking MDT (or anti-reaction drugs) should inform their obstetrician/midwife about all other medications being taken. Clofazimine will result in darkened skin color in the baby, noticeable at birth and fading when breastfeeding ceases (or when the mother discontinues clofazimine), but to date no safety concerns for infants have been reported , , . In rare cases in which a woman of childbearing age needs second-line chemotherapy for rifampin-resistant leprosy or other reasons, specialized advice should be sought. Unless reliable contraception can be assured, minocycline should be avoided (because of its teratogenic potential) and ofloxacin should only be used with caution (because of concerns about arthropathy) . A few cases of leprosy in infants have been reported where infection may have occurred during breastfeeding , , but these reports date prior to the introduction of MDT, when secondary dapsone resistance was common. Acid-fast bacilli resembling M. leprae have been demonstrated using light microscopy in breast milk of lepromatous women not treated with MDT , but viability is uncertain, and there is no evidence that orally ingested M. leprae causes leprosy. The air-borne infection risk (from the mother’s respiratory tract in the close proximity of breastfeeding) is negligibly low if the mother is on or has completed MDT. 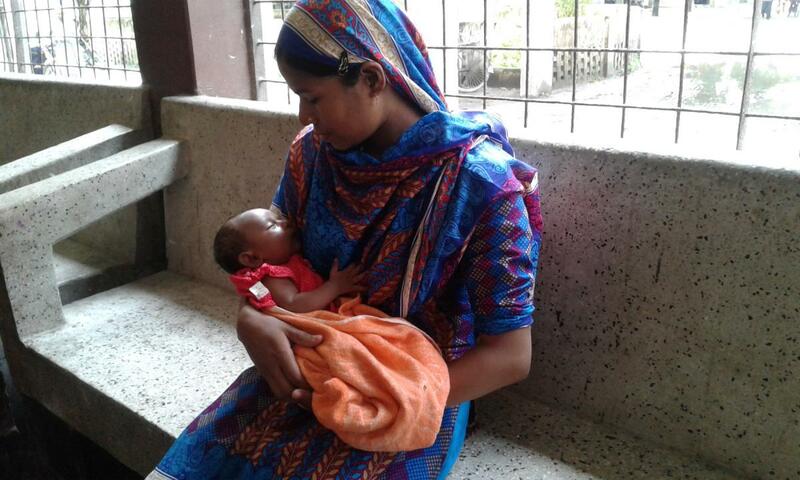 There is some secretion of anti-leprosy drugs in breast milk, but expert opinion is that breastfeeding by women on MDT is safe for infants and may even provide some protective effects , . In conclusion, women should be advised not to withhold breastfeeding, whether for fear of harm to the child from MDT or for fear of infecting the child with leprosy. Alternative methods of infant feeding are unsafe in many leprosy-endemic areas due to the risk of malnutrition and unsanitary water sources (Figure 2). Most epidemiological data on reaction/neuritis associated with pregnancy predates the MDT era and may not apply to the present. Dapsone monotherapy was typically long term, and the end of treatment was partly determined by a prolonged reaction-free period, which makes comparison with the present MDT era difficult, especially considering dapsone’s immunomodulatory effects. Besides, some episodes of “late reaction” were associated with reactivation of the disease due to unrecognized secondary dapsone resistance. Some cohort studies and case series have been reported, but population-based evidence and more up-to-date studies are needed (Table 1) , , , , , , , . Total observed= 156 in 147 women. 89 new and on treatment (including 72 LL/BL), and 25 RFT women and 33 controls. But for 36 women, no information concerning reaction. 10/45 BL cases and 20/34 LL cases had ENL at some point. Women of childbearing age should be offered preemptive family planning advice, especially if they are at high risk (e.g., MB [multibacillary leprosy] cases with pre-existing NFI) . Published evidence to date suggests an increase in the frequency of Type 1 reactions (see Chapter 2.2), mostly in the early postpartum period. During the first and third trimesters, and also postpartum, ENL (erythema nodosum leprosum) may occur more frequently in pregnant than in non-pregnant women, with an earlier onset of NFI . This increased susceptibility to reactions/neuritis during and soon after pregnancy is associated with a “Th1-Th2 shift” (see Chapter 6.3) during pregnancy and the rapid restoration of immune capacity after delivery . When Lucio’s phenomenon occurs in pregnancy it can be very serious , but there is no published evidence on its incidence. Health care providers should always ask about pregnancy when treating a woman of childbearing age with anti-reaction drugs. There is no published evidence available on the most effective steroid regimen specifically for pregnant women nor on the outcomes (remission of reaction, recovery of NFI, etc.) of steroid treatment during pregnancy . Hence the usual practice is to prescribe the same regimen as that given to other patients with leprosy reactions. The use of corticosteroids for managing Type 1 reactions, neuritis, or ENL is generally safe during pregnancy, although extra precautions need to be taken to monitor for adverse effects such as steroid-induced hyperglycemia or hypertension. The WHO  advises that the commonly used oral steroid, prednisolone, only be used during pregnancy if the risk to the mother of withholding it appears to justify the risk of its adverse effects. Evidence of teratogenicity is meager, namely, a small increase in the incidence of cleft palate if it is given in the first trimester and a theoretical risk of hormonal disturbance in the fetus . Prednisolone can be safely used in breastfeeding women, but deferring feeding until four hours after the ingestion of the drug will reduce the infant’s exposure to peak concentration of prednisolone secreted in breast milk . Immunosuppressants such as azathioprine, methotrexate, or cyclosporin are contra-indicated in pregnancy. A high dose of clofazimine has not been shown to be teratogenic ,  and is usually well tolerated during pregnancy. A positive risk-benefit ratio for chloroquine in treating mild reactions in pregnancy has not been established; it is best avoided in the first trimester . Thalidomide (for an ENL reaction) should never be used for pregnant women or women at risk of pregnancy since its teratogenic effect occurs early in the first trimester. In some countries, its use in women of childbearing age is permitted provided adequate contraceptive and monitoring precautions are ensured . There is insufficient evidence available on risk factors that predict the probability of a first episode of reaction or its likely duration for pregnant women. For women still on MDT, or those who completed MDT within the past two years, best practice would be close observation throughout the pregnancy, continuing for up to 12 months postpartum. Each monthly, or more frequent, visit would include a history, physical examination, nerve function assessment, and visual acuity assessment, in addition to enquiries about the infant’s welfare. For a mother who is disabled (NFI or visual loss), sick with a reaction, or needing long admissions, childcare presents many practical problems. The baby’s general health and development, as well as that of other children, may be at risk, and the mother may be at an increased risk of postpartum depression. In some cases, abandonment by the husband and relatives is another risk. A referral to social services should be considered, as well as the counseling of family members to encourage and facilitate their support (Figure 3). An increase in weight and change of gait may put pregnant women with nerve-damaged feet at an increased risk of trophic ulceration (see Chapter 4.3). The enhanced risk continues after delivery when the mother carries the child. All appropriate POD (prevention of disability) and rehabilitation interventions should be made available (see Chapter 4.3). Any use of antibiotics for foot sepsis should be done cautiously, checking for safety during pregnancy and lactation (Box 2). Older case series (from the pre-MDT period) have reported an increased risk of “reactivation of leprosy”, or relapses during pregnancy and the puerperium . Some of these relapses were instances of dapsone-resistance occurring in patients on dapsone monotherapy . In some instances, a “late reaction” may have been mistaken for a relapse. Theoretically, a period of relative immune suppression, such as pregnancy, may favor the multiplication of dormant bacilli (persisters). An apparently increased incidence of leprosy during pregnancy  might reflect changes in T cell activity favoring the multiplication of M. leprae or may be due to a higher probability of case detection, reflecting the patient’s heightened contact with health care services. No population-based or high-quality case control studies have been identified. Though rare in infants, leprosy affects individuals of all ages. Some aspects of the management of leprosy need modification for children. The epidemiological importance of leprosy in young children is that any “recent” infection indicates ongoing transmission, since extreme incubation times are ruled out in this age group. The recently announced global goal of ”zero grade 2 disability at diagnosis” for child cases  places a welcome focus on this group, though the goal itself will be very challenging to achieve and may prove elusive. It also fails to take into account the fact that a disability grade of 0 or 1 at diagnosis can easily fall to 2 before the child is released from treatment. The widespread convention is to use the term “child case” for a person with leprosy who is under 15 years old at diagnosis . However, some authors use different age cutoffs, such as 18 years (reflecting the UNICEF definition) or 12 years. This inconsistency hinders comparison between countries/regions and between published studies. A reliance on operational data of variable quality, collected for management purposes, makes it difficult to know the true picture. By analogy with the disability grade 2 indicator recommended by the WHO , the new case detection rate could be expressed as new child cases of leprosy/100,000 child population or as number of child cases/100,000 total population, since the total number of children under 15 years old is often not known , . This approach is more informative than the traditional indicator for “child rate” (child proportion among new cases), which may be distorted by operational factors (different policies determining case finding methods). According to national program-derived WHO data , global changes over time in the number of child cases follow a similar pattern to that of total cases (Figure 4). Since 2005, the child proportion of cases has been about 9% worldwide, including in India, which has the largest number of child cases (Table 3, Figure 4). However, the huge variation observed between countries has no obvious relationship to other indicators, such as registered prevalence. Routinely collected global disability data does not include separate figures for children. The administration of school surveys was previously advocated for leprosy control work in vertical programs  and, in some places, they are still used . However, this labor-intensive activity is not cost effective in low prevalence situations . Cost-effectiveness might be enhanced where combination outreach programs are conducted, for example, in Brazil, where deworming programs have been combined with leprosy screening . 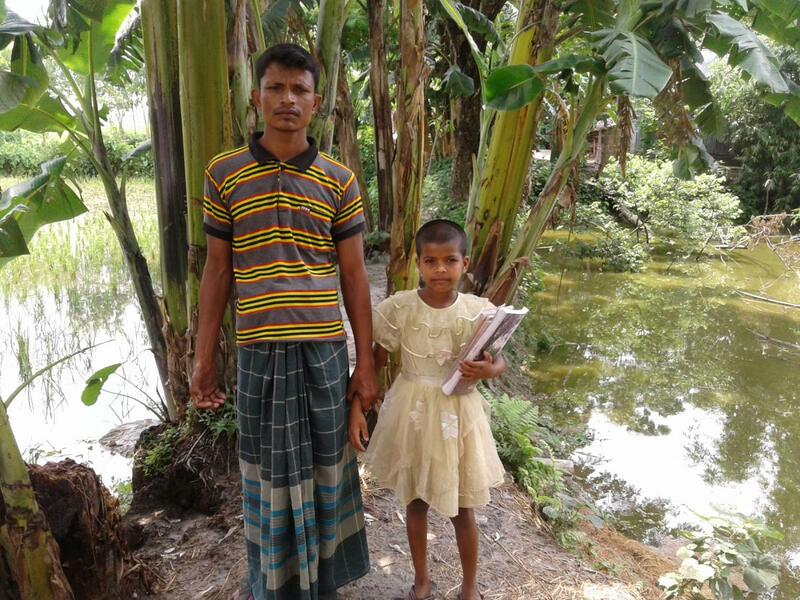 Different ways of engaging schools to improve case detection (especially where enrollment is almost 100%) range from holding classes on the early signs of leprosy for pupils or staff to involving schoolchildren in the active examination of family members , . School populations have also been studied to assess the prevalence of sub-clinical leprosy, as indicated by immunological parameters  and PCR studies. Contact tracing is probably the case detection method with the best evidence base . Residents in the same household as an index case have a higher risk of developing leprosy , and this correlation holds true for children. Most national programs, following WHO advice , , recommend examining all household contacts at least once soon after the detection of a new case. Regarding children, this recommendation fulfills two purposes: (i) when the index case is a child, to identify the source of infection (and thus to protect other children in the household) and (ii) when the index case is an adult, to identify any secondary cases among children early. Household contact examination will include pre-school-age children and usually includes an element of health education to encourage prompt voluntary reporting of suggestive signs subsequently. Innovative approaches to contact surveillance include using family motivation techniques . The proportion of new child cases with a known prior case in the household varies widely in different publications (Table 2A). Household contact examinations are vital when post-exposure prophylaxis (PEP) is considered (see below), as it is essential to exclude overt cases from PEP. The distribution across the Ridley-Jopling spectrum (see Chapter 2.4) for children differs from that for adults, reflecting both differences in the methods of case detection and the longer incubation period for the BL/LL forms of leprosy as compared with other forms. In general, the proportion of child cases classified as Indeterminate is higher, as is the proportion classified as PB (Tables 2A, 2B) , , , . Parents may voluntarily present children with skin lesions, or less often with impairments, to health services. If health workers are alert to the possibility of leprosy, such cases are promptly referred to a leprosy specialist for confirmation. Where parents first present their children to traditional healers or unqualified practitioners, diagnosis may be delayed. Very early case detection (as a result of efficient regular household contact surveillance) can lead to the treatment of children whose disease would have self-healed spontaneously, though it remains impossible to distinguish reliably which cases would regress if left untreated. If health workers who see children for routine health care, including immunizations, practiced passive surveillance (noticing leprosy lesions during consultations for other conditions), more child cases would be detected before impairment occurs. Dermatological differential diagnosis (see Chapter 2.3) in children is similar to adults, and the same diagnostic criteria (see Chapter 2.1) apply. However, the examination of patches should be adapted for the child’s age and understanding (Box 3). Much patience and a calm atmosphere is essential, but, even in children as young as 12 months, patch sensation can be tested by observing the child’s reflex responses to an unseen touch. Sometimes, if shown how to test sensation, a parent will more easily gain the child’s cooperation. An observation period (with no medication and a planned review at 1–2 months) is usually safe in uncertain cases and preferable to a biopsy. In such cases, a detailed description, including the measurements of any skin lesions, must be recorded for comparison with the signs at a later date . Considering the seriousness of the diagnosis in a child and the practical difficulties inherent in confirming it, every new case (and preferably every child suspect) should be examined by a qualified medical practitioner experienced with leprosy. “The demonstration of sensory impairment can be undertaken in children as young as three or four years, provided that their confidence is gained and that they know what you want. Take a minute or two to become friends; sit him on your knee, play with a feather or a blade of grass and tickle him. When he is chuckling, get him to point with the index finger to the place you touched. Then play the same game with the eyes shut. Parents should be made aware of the diagnosis of leprosy as soon as it is confirmed, and the process of educating them about the disease and its management begun early, to ensure maximum support and engagement (Box 4) . The task of informing children needs a sensitive, age-appropriate approach. Younger children may learn better from their parents rather than directly from health workers, while adolescents may resent being excluded from conversations about their health , . MDT rapidly renders a case non-infectious, so there is no need for segregation. Isolating the child and his/her things is unnecessary; normal domestic hygiene suffices. Leprosy reactions may occur despite taking MDT correctly. Children with dapsone hypersensitivity syndrome (see Chapter 2.6) are usually offered a modified WHO MDT regimen consisting of rifampin monthly and clofazimine daily at the usual doses and same duration. In children with “single skin lesion leprosy” (smear negative), the single dose rifampin, ofloxacin, and minocycline combination (ROM)  has been used. However, ROM is no longer supplied through the WHO in blister packs and most national programs will not give it for free. Although minocycline and ofloxacin are both relatively contra-indicated in children, it is thought to be safe to give the once-only dose to those over 5 . Some evidence supports the use of ROM in PB cases with 2–5 skin lesions . Any child with rifampin resistance requires an individually tailored regimen, based on the recommendations from the WHO expert committee , with due regard to the risks that all second-line drugs carry for children . Overall, both reversal and ENL reactions appear to be less common in children than in adults  (possibly because of the smaller proportion of MB cases), but there is a paucity of data on incidence rates or the timing of reactions in children. Many published case series mention the “number of reaction cases” (or percentage), but do not distinguish between reactions occurring (i) before diagnosis, (ii) during chemotherapy, (iii) after completing MDT, or (iv) in children referred for reaction after being diagnosed and starting MDT elsewhere (Table 2A). Detailed observational studies of cohorts that are followed for 2–3 years are essential to understand whether risk factors for children are similar to those for adults and to make it possible to estimate the probability of reaction (and neuritis) in any individual case. Those at lowest risk could be educated about reporting promptly if any deficit is noticed, then re-assessed every 6 months for two years. Those at moderate risk should be seen for an NFA every three months, for at least 24 months. Those at highest risk should be seen for an NFA monthly for 12 months, then quarterly for up to 24 months. Nerve abscesses (due to intense immune reactions causing tissue damage) may occur in children . They need urgent incision and drainage by a trained surgeon. General anesthesia is preferable if the patient is a young child. In view of the lack of evidence on steroid regimens for children, the usual practice is to prescribe based on recommended adult regimens (see Chapter 2.2) modified for the child’s weight (and age) (Box 7). The special risks of steroids in children (effects on skeletal growth and puberty) must be borne in mind in addition to general adverse effects, including immunosuppression, hyperglycemia, osteoporosis, and adrenal suppression. Monitoring weekly for adverse effects and for response is desirable. Pediatric guidance should be sought if the child needs more than three months of treatment or if doses above 1 mg/kg are considered . Alternate day regimens are sometimes recommended to reduce adrenal suppression. Parents should be warned about the risk of adrenal crisis following sudden cessation and also about the risks of administering unprescribed doses of steroids to their children. Medicines should be stored safely out of the reach of young children. Anti-helminthics, especially those targeting strongyloides infection, should be given at the start of a steroid course, when helminth infections are common. and tapering rapidly to 20 mg, then more slowly. then 5 mg once daily x 14 days. “High dose clofazimine” for chronic ENL can be used in children , who often tolerate the color change well. But the family should be aware of the risk of acute abdominal pain associated with an overload of clofazimine. Since little is known about the pharmacokinetics of clofazimine (see Chapter 2.6), and accumulation depends on the quantity of subcutaneous fat, choosing the regimen is a matter of judgment for an experienced clinician. The daily dose should be divided, given with food to reduce gastrointestinal effects, and withheld for a few days in the event of acute gastroenteritis (Box 8). As a rough guide, 1.5–2mg/kg three times daily for one month, then reducing by one dose per day each month. Maximum: 300mg daily. For example, for a child of 25 to 35 kg, a suitable regimen is 50 mg three times daily for month 1, 50 mg twice daily for month 2, then 50 mg once daily for month 3. For comparison: adults of 50–70 kg usually tolerate a total dose of 18 grams over 3 months equivalent to 100 mg twice daily x 90 days (or 100 mg three times per day x 30 days, 100 mg twice a day x 30 days, 100 mg once a day x 30 days). Divided doses are better tolerated. As with pregnancy, the immunological disturbances of puberty might increase the risk of relapse or reactivation of inadequately treated leprosy. Sasidharanpillai  identified 10/138 children registered for MDT who were diagnosed as relapse cases over 10 years. Eight (8) who had received PB MDT and were RFT (released from treatment) only 3 months to 2 years before, might have been originally incorrectly classified. Of the total group in this age group, 8/10 were 13–15 years old (cf 34.8%) and 8/10 were girls (cf 38% of all 138, p=0.004). Some experts have an impression there is an apparent increase in the incidence and severity of reactions around the time of puberty , though we are not aware of any epidemiological evidence to confirm an increased risk of reaction during puberty. There are particular problems with long-term use of steroids in this age group because of the effects on the onset of puberty and interruption of growth . When no alternative therapy is available for chronic reaction, the priority is usually to keep the steroid dose as low as possible, consistent with control of reactional episodes. An uncontrolled reaction has a huge impact on a child’s quality of life and future prospects through long admissions (missing education at a critical stage), onset of new disability, and pain suffered. A pediatrician should be consulted in complex cases. There is an urgent need for evidence-based clinical management guidelines and for multicenter RCTs and cohort studies to establish which steroid regimes are the safest and most effective for this age group. While the goals and principles of disability management are the same for children as they are for adults (see Chapter 4.3), a modified approach is needed for a child with a physical impairment, who is especially at risk because of his or her dependence on a variety of adults. Because children are less able to weigh future consequences and adolescents often have a false sense of invulnerability, it is difficult to motivate children to consistently undertake self-care of neurologically impaired limbs. Age-appropriate educational materials are needed for self-care training. Protective footwear (including something suitable for play) should be regularly replaced as the child’s feet grow. When trophic ulcers occur, off-loading solutions such as the use of POP (a double rocker shoe/BK cast with Bohler iron) are preferable to bed rest. Adequate nutrition for wound healing is particularly important in a growing child. Reconstructive surgery (see Chapter 4.2) should not be denied on the grounds of age alone (Figure 5) . Clinicians may need to advise schools about special needs, depending on the specific impairments present (e.g., extra time for examination writing, avoidance of some sports, provision of low vision aids). No one doubts that developing an irreversible disability is a tragedy for a child , but the progression from impairment to secondary disability after diagnosis can be halted. In addition, clinicians should audit the long-term outcomes of their management , . The psychological effects of physical impairment , , , including the risk of bullying or social isolation, on a child’s life need attention. Very little research has been conducted in this area on leprosy-affected children specifically, but findings from studies of other chronic diseases in children or leprosy in adults may be applicable. Enhancing the self-efficacy of a patient is as important as imparting information , . Teenagers may also have different opinions about the care needed from their parents , and both parents and children may need guidance regarding future career plans. In clinics, efforts should be made to cater for children’s special needs, e.g., by limiting waiting times, making child-friendly spaces, and protecting the children from more unpleasant sights. When in-patient care is unavoidable, admission to a pediatric ward is preferable  for age-appropriate nursing care and a child-friendly environment. Complicated cases should preferably be seen by a pediatrician or family medicine specialist. Inclusive education should be the norm and absences from school for health care minimized (Figure 7). Any necessary aids including protective footwear should ideally follow designs approved by children. Finally, educational materials about leprosy should feature language and illustrations attractive to children. A hygienic and uncrowded environment at home and at school will reduce a child’s risk of being infected by M. leprae . Resistance to an M. leprae infection is enhanced by Bacillus Calmette–Guérin (BCG) vaccination  (see Chapter 6.4), probably for a limited period, and children immunized with BCG are more likely to have PB rather than MB leprosy. Prompt treatment of infectious cases to which the child might be exposed and contact examinations to ensure early diagnosis before the disease is advanced  are of great importance. In children, as in adults, delayed diagnosis is associated with more disability , , . For each late diagnosis of leprosy in children, a review of all recent health services contacts is recommended to identify failures in case detection . Although it cannot yet be identified as such, many children have a sub-clinical infection  and might be “cured” before the development of the clinical disease by a single dose rifampin, although this possibility has not been confirmed by evidence. Post-Exposure Prophylaxis (PEP) with anti-mycobacterial drugs is being studied for contacts of newly diagnosed cases but is not routinely available and may be less effective in children of infected adults, since this highest-risk group had the least benefit in one major study , . As children under five were excluded from that study, evidence for them is lacking. A booster dose of BCG for contacts is routinely offered in Brazil . The effectiveness of combined chemo-immunoprophylaxis is currently being investigated ,  in children as well as adults. a, b, c Lockwood DNJ, Sinha HH. 1999. Pregnancy and leprosy: a comprehensive literature review. Int J Lepr Other Mycobact Dis 67(1):6–12. ^ Hardas U, Survey R, Chakrawardi D. 1972. Leprosy in gynaecology and obstetrics. Int J Lepr 40(4):399–401. ^ Khana N. 2010. Leprosy and pregnancy, p 313–324. In Kar HK, Kumar B (eds), IAL textbook of leprosy. Jaypee Brothers. a, b Bratschi MW, Steinmann P, Wickenden A, Gillis TP. 2015. Current knowledge on M. leprae transmission: a systematic literature review. Lepr Rev 86(2):142–155. ^ Mensah-Awere D, Bratschi MW, Steinmann P, Fairley JK, Gillis TP. 2015. Symposium report: developing strategies to block the transmission of leprosy. Lepr Rev 86(2):156–164. a, b Duncan ME. 1986. Leprosy in children 1 year of age and under. Int J Lepr Other Mycobact Dis 54(4):646.
a, b Brubaker ML, Meyer WM, Bowland J. 1985. Leprosy in children one year of age and younger. Int J Lepr Other Mycobact Dis 53(4):517–523. a, b, c, d, e World Health Organization (WHO). 1998. WHO model prescribing information: drugs used in leprosy. WHO, Geneva, Switzerland. doi:WHO/DMP/DSI/98.1. http://apps.who.int/medicinedocs/en/d/Jh2988e/. ^ Bhargava P, Kuldeep CM, Mathur NK. 1996. Anti-leprosy drugs, pregnancy and fetal outcome. Int J Lepr Other Mycobact Dis 64: 457–458. a, b Shale MJ. 2000. Women with leprosy. A woman with leprosy is in double jeopardy. Lepr Rev 71(1):5–17. a, b WHO. 2003. The final push strategy to eliminate leprosy as a public health problem: questions and answers. WHO, Geneva, Switzerland. a, b Kabra NS, Nanavati RN, Srinivasan G. 1998. Neonatal methemoglobinaemia due to transplacental transfer of dapsone. Indian Pediatr 35(6):553–556. ^ Sanders SW, Zone JJ, Foltz RL, Tolman KG, Rollins DE. 1982. Hemolytic anemia induced by dapsone transmitted through breast milk. Ann Int Med 96:465–466. a, b WHO. 2005. Global strategy for further reducing the leprosy burden and sustaining leprosy control activities: plan period: 2006–2010. WHO/CDS/CPE/CEE/2005.53. WHO South East Asia (SEA) Global Leprosy Programme (GLP). WHO, Delhi, India. a, b, c Yawalkar SJ. 1993. Lamprene in leprosy. Basic information (4th ed). Ciba-Geigy, Basle, Switzerland. a, b Farb H, West DP, Pedvis-Leftick A. 1982. Clofazimine in pregnancy complicated by leprosy. Obstet Gynecol 59(1):122–123. ^ Ozturk Z, Tatliparmak A. 2017. Leprosy treatment during pregnancy and breastfeeding: a case report and brief review of literature. Dermatol Ther 30(1):e12414. doi:10.1111/dth.12414. ^ Girdhar A, Girdhar BK, Ramu G, Desikan KV. 1981. Discharge of M Leprae in milk of leprosy patients. Lepr India 53:390–394. a, b, c Maurus JN. 1978. Hansen’s disease in pregnancy. Obstet Gynecol 52:22–25. a, b, c, d, e Duncan ME, Melson R, Pearson JM, Ridley DS. 1981. The association of pregnancy and leprosy. I. New cases, relapse of cured patients and deterioration in patients on treatment during pregnancy and lactation—results of a prospective study of 154 pregnancies in 147 Ethiopian women. Lepr Rev 52(3):245–262. a, b, c Duncan ME, Pearson JM, Ridley DS, Melson R, Bjune G. 1982 (A). Pregnancy and leprosy: the consequences of alterations of cell-mediated and humoral immunity during pregnancy and lactation. Int J Lepr Other Mycobact Dis 50(4):425–435. a, b, c Duncan ME, Pearson JM. 1982 (B). Neuritis in pregnancy and Lactation. Int J Lepr Other Mycobact Dis 50(1):31–38. a, b, c Duncan ME, Pearson JM. 1984. The association of pregnancy and leprosy—III. Erythema nodosum leprosum in pregnancy and lactation. Lepr Rev 55:129–142. a, b, c Lopes VG, Sarno EN. 1994. [Leprosy and pregnancy]. Rev Assoc Med Bras (1992) 40:195–201. http://www.ncbi.nlm.nih.gov/pubmed/7787871. a, b, c Palácios VR, Bichara CN, Silva Junior JB, Dias Rda S, Gonçalves NV. 2013. Leprosy and pregnancy in the state of Pará: an epidemiological perspective. Rev Soc Bras Med Trop 46(4). doi:http://dx.doi.org/10.1590/0037-8682-0019-2013. a, b Croft RP, Nicholls PG, Steyerberg EW, Richardus JH, Cairns W, Smith S. 2000. A clinical prediction rule for nerve-function impairment in leprosy patients. Lancet 355:1603–1606. ^ Jamieson DJ, Theiler RN, Rasmussen SA. 2006. Emerging Infections and pregnancy. Emerg Infect Dis 12(11):1638–1643. ^ Helmer KA, Fleischfresser I, Kucharski-Esmanhoto LD, Neto JF, Santamaria JR. 2004. The Lucio’s phenomenon (necrotising erythema) in pregnancy. An Bras Dermatol 79:205–210. ^ Walker SL, Lockwood DNJ. 2008. Leprosy type 1 (reversal) reactions and their management. Lepr Rev 79(4):372–386. a, b Park-Wyllie L, Mazzotta P, Pastuszak A, Moretti ME, Beique L, Hunnisett L, Friesen MH, Jacobsen S, Kasapinovic S, Chang D, Diav-Citrin O, Chitayat D, Nulman I, Einarson TR, Koren G. 2000. Birth defects after maternal exposure to corticosteroids: prospective cohort study and meta-analysis of epidemiological studies. Teratology 62:385–392. ^ WHO. 1995. WHO model prescribing information: drugs used in parasitic diseases, 2nd ed. WHO, Geneva, Switzerland. ^ Nabarro LEB, Aggarwal D, Armstrong M, Lockwood DNJ. 2016. The use of steroids and thalidomide in the management of Erythema Nodosum Leprosum; 17 years at the Hospital for Tropical Diseases, London. Lepr Rev 87:221–231. ^ King JA, Marks RA. 1958. Pregnancy and leprosy; a review of 52 pregnancies in 26 patients with leprosy. Am J Obstet Gynecol 76:438–442. ^ Levantezi M, Moreira T, Sena Neto S, De Jesus AL. 2014. Leprosy in children under fifteen years in Brazil, 2011. Lepr Rev 85(2):118–122. ^ Palit A, Inamadar AC. 2014. 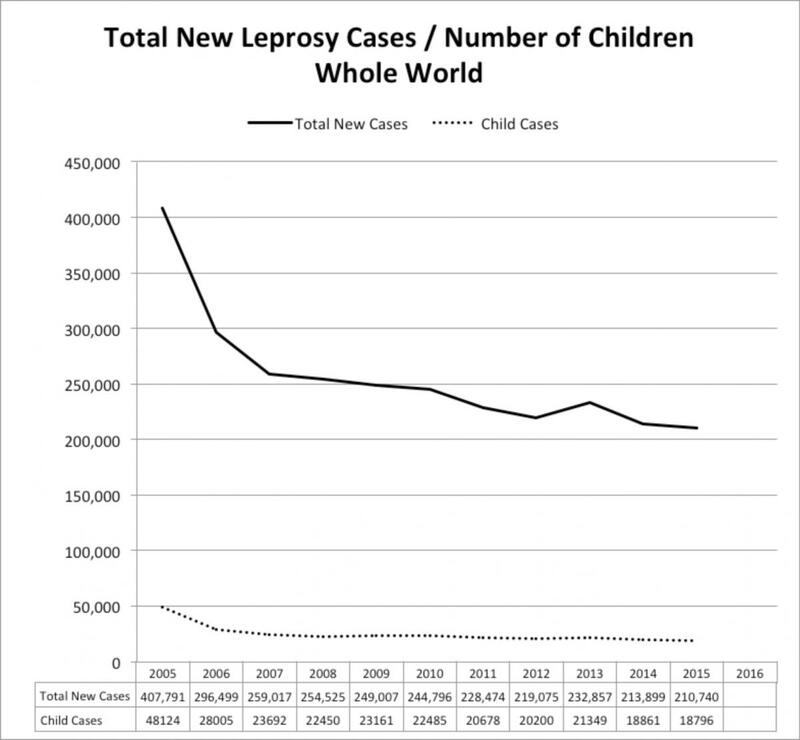 Childhood leprosy in India over the past two decades. Lepr Rev 85(2):93–99. a, b, c Dogra S, Narang T, Khullar G, Kumar R, Nahar Saikia U. 2014. Childhood leprosy through the post-leprosy-elimination era: a retrospective analysis of epidemiological and clinical characteristics of disease over eleven years from a tertiary care hospital in North India. Lepr Rev 85(4):296–310. a, b, c Sehgal VN, Chaudhry AK. 1993. Leprosy in children: a prospective study. Int J Dermatolol 32:194–197. a, b, c Prasad PVS. 1998. Childhood leprosy in a rural hospital. Indian J Pediatr 65:751–754. a, b, c Selvasekar A, Geetha J, Nisha K, Manimozhi N, Jesudasan K, Rao PS. 1999. 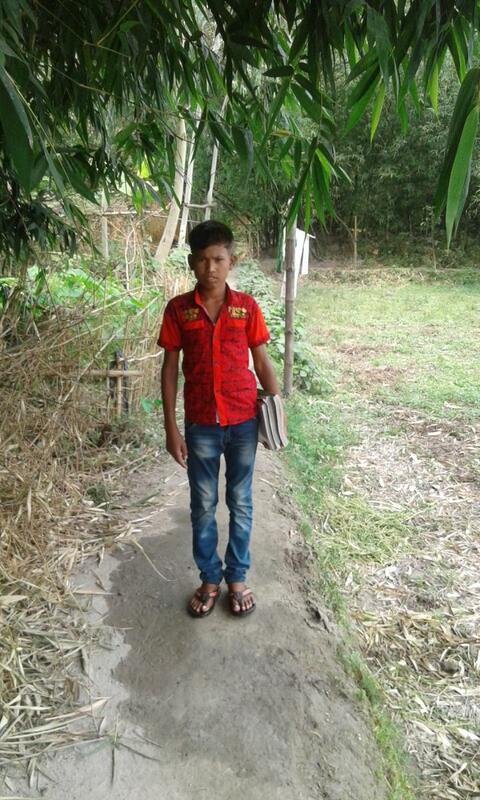 Childhood leprosy in an endemic area. Lepr Rev 70:21–27. a, b, c Jain S, Reddy RG, Osmani SN, Lockwood DN, Suneetha S. 2002. Childhood leprosy in an urban clinic, Hyderabad, India: clinical presentation and the role of household contacts. Lepr Rev 73:248–253. a, b, c Kar BR, Job CK. 2005. Visible deformity in childhood leprosy—a 10-year study. Int J Lepr Other Mycobact Dis 73:243–248. a, b, c Grover C, Nanda S, Garg VK, Reddy BS. 2005. An epidemiologic study of childhood leprosy from Delhi. Pediatr Dermatol 22:489–490. a, b, c, d John AS, Rao PS, Kundu R, Raju MS. 2005. Leprosy amongst adolescents in Kolkata, India. Indian J Lepr 77:247–253. a, b, c Vara N. 2006. Profile of new cases of childhood leprosy in a hospital setting. Indian J Lepr 78:231–236. a, b, c Rao AG. 2009. Study of leprosy in children. Indian J Lepr 81(4):195–197. a, b, c Horo I, Rao PS, Nanda NK, Abraham S. 2010. Childhood leprosy: profiles from a leprosy referral hospital in West Bengal, India. Indian J Lepr 82:33–37. a, b, c Sachdeva S, Amin SS, Khan Z, Alam S, Sharma PK. 2010. Childhood leprosy: a retrospective study. J Public Health Epidemiol 2:267–271. a, b, c, d Singal A, Sonthalia S, Pandhi D. 2011. Childhood leprosy in a tertiary-care hospital in Delhi, India: a reappraisal in the post-elimination era. Lepr Rev 82:259–269. a, b, c, d, e, f Palit A, Inamadar AC, Desai SS, Sharma P. 2014. Childhood leprosy in the post-elimination phase: data from a tertiary health care hospital in the Karnataka state of south India. Lepr Rev 85(2):85–92. a, b, c Kaur I, Kaur S, Sharma VK, Kumar B. 1991. Childhood leprosy in northern India. Pediatr Dermatol 1:21–24. a, b, c Kumar B, Rani R, Kaur I. 2000. Childhood leprosy in Chandigarh; clinico-histopathological correlation. Int J Lepr Other Mycobact Dis 68:330–331. a, b, c, d Sasidharanpillai S, Binitha MP, Riyaz N, Ambooken B, Mariyath OK, George B, Janardhanan AK, Sherjeena PV. 2014. Childhood leprosy: a retrospective descriptive study from Government Medical College in Kozhikode, Kerala, India. Lepr Rev 85(2):100–110. a, b, c, d Sethi M, Rao PSS. 2015. Challenges in preventing disabilities among children affected by leprosy: findings from a referral hospital in North India. Lepr Rev 86:296–297. a, b, c, d Asia AJ, Tapre V, Joge U. 2016. Profile of childhood leprosy cases attending a tertiary care centre. Indian J Lepr 88:111–116. a, b, c Ekeke N, Chukwu J, Nwafor C, Ogbudebe C, Oshi D, Meka A, Madichie N. 2014. Children and leprosy in southern Nigeria: burden, challenges and prospects. Lepr Rev 85(2):111–117. a, b, c, d Yan L, Shen J, Zhou M, Zhang G. 2015. Survey on child leprosy patients and problems resulting from the disease in China. Lepr Rev 86(1):75–79. a, b, c, d, e Shetty VP, Ghate SD, Wakade AV, Thakar UH, Thakur DV, D’souza E. 2013. Clinical, bacteriological, and histopathological characteristics of newly detected children with leprosy: a population based study in a defined rural and urban area of Maharashtra, Western India. Indian J Dermatol Venereol Leprol 79:512–517. ^ Li YY, Li XA, He L, Wang D, Chen WY, Chen L, Lu JB, Yao YG. 2011. Trends in new leprosy case detection over 57 years (1952–2008) in Yuxi, Yunnan Province of Southwest China. Lepr Rev 82:6–16. a, b Lee J, Kim JP, Nishikiori N, Fine PE. 2015. The decline of leprosy in the Republic of Korea; patterns and trends 1977–2013. Lepr Rev 86(4):316–327. ^ Nigam KP, Sehgal U, Ramesh V, Misra RS. 1990. Age of onset of leprosy. Indian J Dermatol Venereol Leprol 56(3):213–215. ^ WHO. 2016. Global leprosy update, 2015: time for action, accountability and inclusion. Wkly Epidemiol Rec 91:405–420. a, b, c Noussitou FM, Sansarricq H, Walter J. 1976. Leprosy in children, 1st ed. WHO, Geneva, Switzerland. ^ Sahoo A, Singh PC, Pattnaik S, Singh N. 2002. Incidence of leprosy in school-children and their family members in Berhampur. Indian J Lepr 74:137–143. ^ Fowden K, Franklin R, Graves P, Maclaren D, McBride J. 2016. The prevalence of leprosy in school-students and evaluation of school-based screening for leprosy: a systematic review. Lepr Rev 87:276–293. ^ Norman G, Joseph GA, Udayasuriyan P, Samuel P, Venugopal M. 2004. Leprosy case detection using schoolchildren. Lepr Rev 75:34–39. ^ Cariappa MP. 2007. Leprosy detection: involvement of teachers. Indian J Dermatol Venereol Leprol 73(4):266–267. ^ Barreto JG, Guimarães Lde S, Leão MR, Ferreira DV, de Araujo Lima RA, Salgado CG. 2011. Anti-PGL-1 seroepidemiology in leprosy cases: household contacts and school children from a hyperendemic municipality of the Brazilian Amazon. Lepr Rev 82(4):358–370. a, b Smith WC, Aerts A. 2014. Role of contact tracing and prevention strategies in the interruption of leprosy transmission (Novartis-sponsored expert group report). Lepr Rev 85(1):2–17. ^ Moet FJ, Pahan D, Schuring RP, Oskam L, Richardus JH. 2006. Physical distance, genetic relationship, age, and leprosy classification are independent risk factors for leprosy in contacts of patients with leprosy. J Infect Dis 193:346–353. ^ Padhi T, Pradhan S. 2015. Family motivation card: an innovative tool for increasing case detection in a resource poor setting. Lepr Rev 86(2):170–175. ^ Sehgal VN, Joginder. 1989. Leprosy in children: correlation of clinical, histolopathological, bacteriological and immunological parameters. Lepr Rev 60(3):202–205. ^ Sehgal VN, Chaudhry AK. 1993. Leprosy in children: a prospective study. Int J Dermatol 32:194–197. ^ Lal V, Pal S, Haldar NK, Mandal PK, Srinivas G. 2014. What parents should know while their child is on MDT: insights from a qualitative study in eastern India. Lepr Rev 85:81–84. a, b Govindharaj P, Darlong J, John AS, Mani S. 2016. Children and adolescents’ attitude towards leprosy in a high endemic district of India. Lepr Rev 87:42–52. a, b WHO. 2016. Global leprosy strategy 2016–2020: accelerating towards a leprosy-free world—operational manual, Section 3.3. WHO, Geneva, Switzerland. ^ WHO Expert Committee on Leprosy. 1998. WHO Expert Committee on Leprosy: seventh report. WHO, Geneva, Switzerland. a, b Dayal R, Sanghi S. 2010. Leprosy in children. In Kar HK, Kumar B (eds), IAL textbook of leprosy. Jaypee Brothers Medical Publishers, New Delhi. ^ WHO Expert Committee on Leprosy. 2012. WHO Expert Committee on Leprosy: eighth report. WHO, Geneva, Switzerland. ^ Scollard DM, Martelli CM, Stefani MM, Maroja Mde F, Villahermosa L, Pardillo F, Tamang KB. 2015. Risk factors for leprosy reactions in three endemic countries. Am J Trop Med Hyg 92:108–114. ^ Salaﬁa A, Chauhan G. 1996. Nerve abscess in children and adult leprosy patients: analysis of 145 cases and review of the literature. Acta Leprol 10:45–50. a, b Pediatric Formulary Committee (eds). 2012. BNF for children 2012–2013, p 372–379. Pharmaceutical Press, London, UK. a, b Davey TF, Schenck RR. 1964. The endocrines in Leprosy, p 190–204. In Cochrane RG, Davey TF (eds), Leprosy in theory and practice, 2nd ed. John Wright & Sons, Bristol. ^ Mannivannan G, Das P, Karthikeyan G, John AS. 2014. Reconstructive surgery in children to correct ulnar claw hand deformity due to leprosy. Lepr Rev 85(2):74–80. ^ Hammond PJ, Rao PS. 1999. The tragedy of deformity in childhood leprosy. Lepr Rev 70:217–220. ^ Akbarbegloo M, Valizadeh L, Zamanzadeh V, Jabarzadeh F. 2015. The relationship between self-efficacy and psychosocial care in adolescents with epilepsy. Epilepsy Res Treat. doi:http://dx.doi.org/10.1155/2015/756849. ^ Bodenheimer T, Lorig K, Holman H, Grumbach K. 2002. Patient self-management of chronic disease in primary care. JAMA 288(19):2469–2475. ^ Velema JP, Ogbeiwi OI. 2007. ILEP organisations should strive for high BCG coverage in communities at risk of leprosy. Lepr Rev 78(2):88–101. ^ Nicholls PG, Croft RP, Richardus JH, Withington SG, Smith WC. 2003. Delay in presentation, an indicator for nerve function status at registration and for treatment outcome—the experience of the Bangladesh Acute Nerve Damage Study cohort. Lepr Rev 74:349–356. ^ Dockrell HM. 2011. Keep the faith—leprosy still needs new diagnostic tools and laboratory research. Lepr Rev 82(4):340–343. ^ Feenstra SG, Pahan D, Moet FJ, Oskam L, Richardus JH. 2012. Patient-related factors predicting the effectiveness of rifampicin chemoprophylaxis in contacts: 6 year follow up of the COLEP cohort in Bangladesh. Lepr Rev 83:292–304. ^ Düppre NC, Camacho LA, da Cunha SS, Struchiner CJ, Sales AM, Nery JA, Sarno EN. 2008. Effectiveness of BCG vaccination among leprosy contacts: a cohort study. Trans R Soc Trop Med Hyg 102:631–638. ^ Schuring RP, Richardus JH, Pahan D, Oskam L. 2009. Protective effect of the combination BCG vaccination and rifampicin prophylaxis in leprosy prevention. Vaccine 27:7125–7128. ^ Richardus JH, Oskam L. 2015. Protecting people against leprosy: chemoprophylaxis and immunoprophylaxis. Clin Dermatol 33:19–25. doi:10.1016.jclindermatol.2014.07.009.